“We have the best breakfast in Woodbridge,” said Augustine Guma, Gumax Café and Grill’s charismatic and inspirational founder and owner. Omelets, waffles, French toast, and breakfast combinations, such as chipped beef on toast and southern style gravy over biscuits, are offered at prices ranging from $5.75 – $15. Pancakes are among Gumax’s best-selling breakfast entrees. 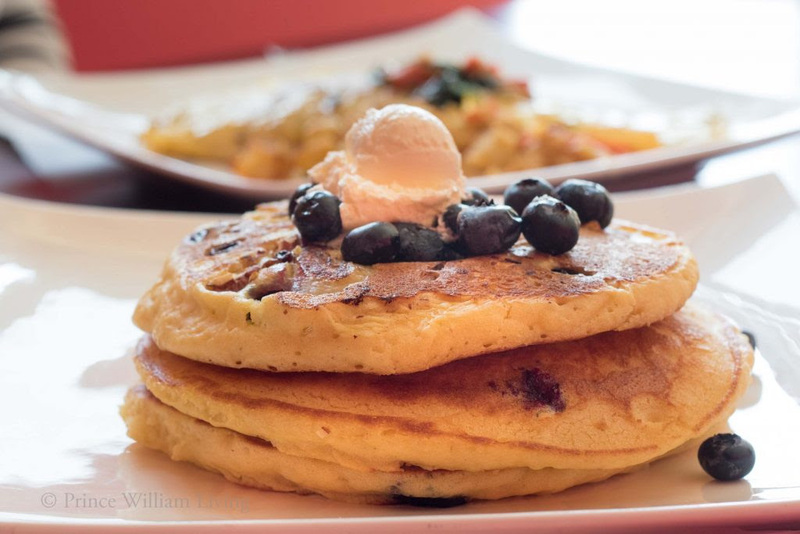 “The pancakes at Gumax are more substantial and flavorful than at other restaurants,” said Karen Hawbecker, an attorney and Montclair resident. “The orange zest pancakes were a treat and tasty enough to eat without syrup, though they’re great with syrup, too. I was pleasantly surprised that they serve breakfast all day.” Flavorful pancake varieties include Equatoria (topped with equatorial fruits), apple strudel, sweet potato, bacon and ham and several others, including traditional buttermilk. averaging 4.5 stars, and pancakes aren’t the only menu item receiving acclaim. “People come and say, ‘Wow! This is a good breakfast!’ Then they ask to try the spicy pies,” recounted Guma about the restaurant’s other top-selling item. Developed as a handheld appetizer by his father and first sold in his native Uganda, Guma has adapted these savory pies to serve as an entrée, creating flavors to reflect America’s diverse heritage: beef, chicken, vegetable, lobster, crab and exotics, such as alligator, are included as the basis for fillings, along with piquant spices, such as coriander, cinnamon, fennel and ginger. “Delicious and habit-forming,” as the tagline states, the restaurant serves the spicy pies fresh and also sells them precooked, packed in freezer boxes, ready to be reheated at home, at about $12 for 10 pies. Asked about her favorite dish, Christine Oryang, a transformation life coach based in Dumfries, said, “The spicy pies with the Gumax special sauce on the side that adds flavor and a unique twist. 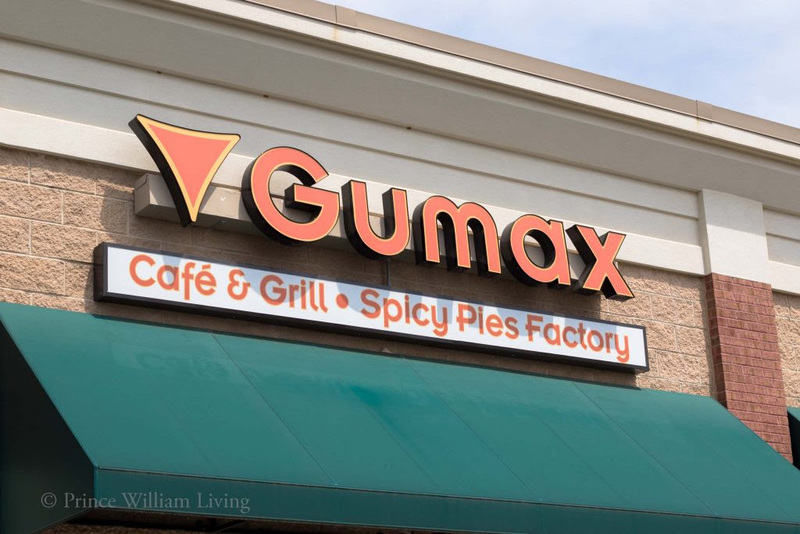 They are so wonderful and authentic.” Jamie McHenry, a stay-at-home mother based in Fairfax Station, frequents Gumax and recommended: “Newcomers should absolutely try the spicy meat pies. They come three to an order, and you can order all three the same or as a combination of the choices (e.g., beef, chicken or vegetarian).” Retailers, such as Costco, have taken notice, and orders are coming in as well as contracts. “Our pies are just something else,” Guma said. restaurant’s menu options reflect great diversity, as McHenry said. “My husband and I usually share meat pies or a sandwich with a cup of soup. Our teenager loves the Reuben or a steak and cheese sandwich. Our little ones all get the rainbow pancakes or waffles with sprinkles and whipped cream. It is on our list to try the chocolate and peanut butter pancakes the next time we visit,” she noted. Hoagies, chicken dishes, rotating daily off-menu specials and seafood are some of the available items. Oryang recommended trying the tilapia with side dishes of matoke and peanut sauce. “Everything is done really well,” McHenry continued. That may be the key to Gumax’s increasing popularity with double-digit growth each quarter it has been open. Located at 2862 Garber Way in Woodbridge, you can taste the love yourself Monday to Thursday: 6:00 a. m. to 9:00 p. m. and Friday and Saturday: 6:00 a. m. to 10:00 p. m. Happy eating! Emma Young (eyoung@princewilliamliving.com) is a freelance writer in Montclair. Her freezer happily contains boxes of Gumax spicy vegetable pies, though they never stay there long.